As a life-long resident of Tensas Parish, Louisiana, Bill Crigler has enjoyed some of the best farming and hunting land on earth. 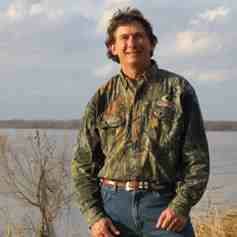 Bill graduated from Louisiana State University in 1976 with a degree in Agricultural Business. After graduation he joined his father in his family's farming operations. He has farmed for nearly three decades, growing cotton, corn, wheat and soybeans. Bill has been active in the Tensas Parish farming community, serving on the Tensas Parish Gravity Drainage Board for more than 10 years. As a licensed real estate sales agent he finds great satisfaction selling farm and recreational property, and he's become something of a specialist in timber and Lake Bruin properties. As an avid deer and duck hunter himself, Bill especially enjoys finding small hunting and fishing tracts suitable - and affordable - for families. He lives on Lake Bruin with his wife, Julie and has three children: Kathryn, Will, and Ross.